California and Texas are hit hardest on a megawatt basis; Montana and Idaho face the steepest percentage declines. Which states will be hit hardest by Trump's solar tariffs? A new analysis reveals how the Trump administration's recently imposed solar tariffs could hinder installations at the state level. 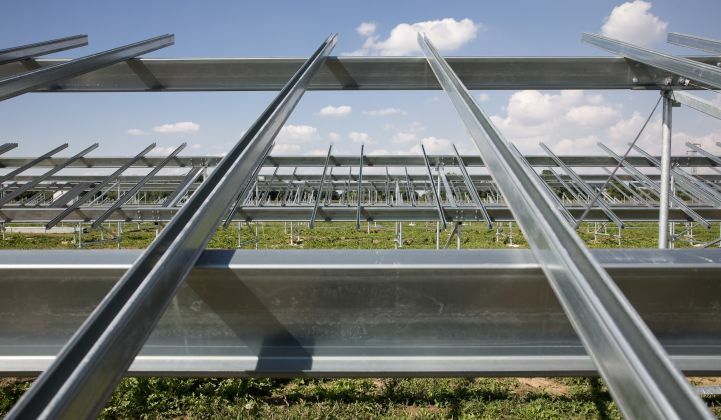 The tariffs are predicted to reduce the projected pipeline of new solar construction in the U.S. by 7.6 gigawatts over the next five years, according to GTM Research. Some states will get hit harder than others. As the country’s largest solar market, California stands to lose the most from the 30 percent tariff, with an expected 1,079-megawatt decline in new solar capacity between 2018 and 2022. California is trailed by Texas and Florida, which are expected to lose 674 megawatts and 513 megawatts, respectively. 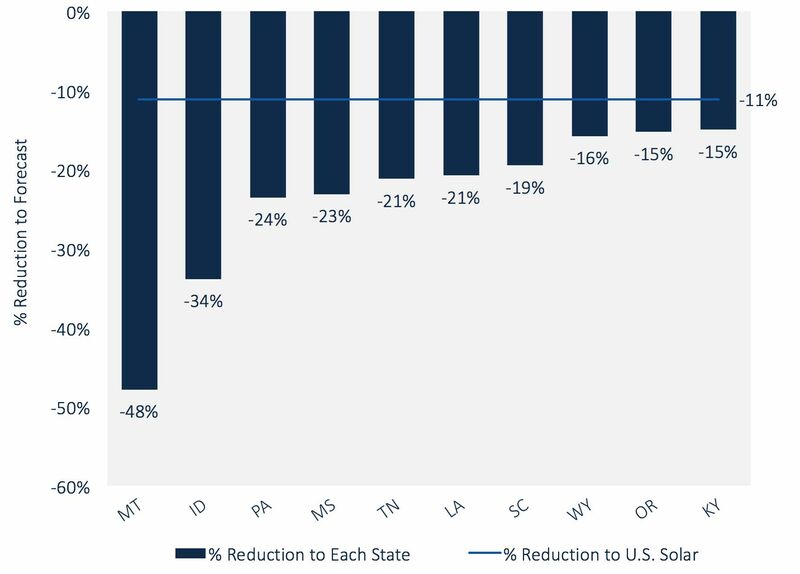 Nationally, the GTM Research analysis shows that utility-scale solar will bear the brunt of the losses, accounting for 65 percent of the anticipated decline. States won’t feel the full impact of the tariffs until next year, as older projects wrap up and stockpiles of modules begin to dwindle. U.S. companies currently have at least 2 gigawatts of tariff-free modules reserved for 2018 projects. San Jose-based manufacturer SunPower announced last week that it was suspending $20 million in investments, which would have created hundreds of jobs at its facilities in California and Texas. SunPower makes its high-efficiency solar modules in Mexico and Malaysia, both of which are subject to the new import tariffs. The company is one of many asking the Trump administration to exclude its product from the new trade measures. “Any increase in solar costs will have an impact on participation in ERCOT, so it’s certainly a challenge,” said Charlie Hemmeline, the executive director of the Texas Solar Power Association. ERCOT operates the Texas electric grid and manages the deregulated market for most of the state. The percentages tell a different story. While installations are expected to drop by about 11 percent nationally, California, Delaware and North Carolina should only see modest declines of 7 percent. Texas is only slightly above average, with losses coming in at 13 percent. At the other end of the spectrum, Montana’s solar market is predicted to plummet by nearly 50 percent. “Montana is going to be creamed because Montana, as a state, doesn’t do anything to drive renewable energy,” said Del Chiaro. California’s has a 50 percent renewable energy target on the books for 2030, as well as a 1,300-megawatt storage target. A 7 percent decline in new solar installations could still translate into significant job losses for the state. The Solar Energy Industries Association estimates that tariffs will cause the loss of roughly 23,000 American jobs this year alone, and nearly 40 percent of solar jobs are in California. Montana and Idaho top the list for solar demand loss by percentage, largely due to changes state legislators made to the Public Utility Regulatory Policies Act of 1978, or PURPA. By shortening the length of PURPA contracts for solar projects, the states made it difficult for developers to receive financing due to price uncertainty. Texas, which currently lacks an RPS and has no default net metering policies, is expected to see a 17 percent decline in residential installations, the second highest in the nation. Pennsylvania tops the list with a projected 27 percent decline. 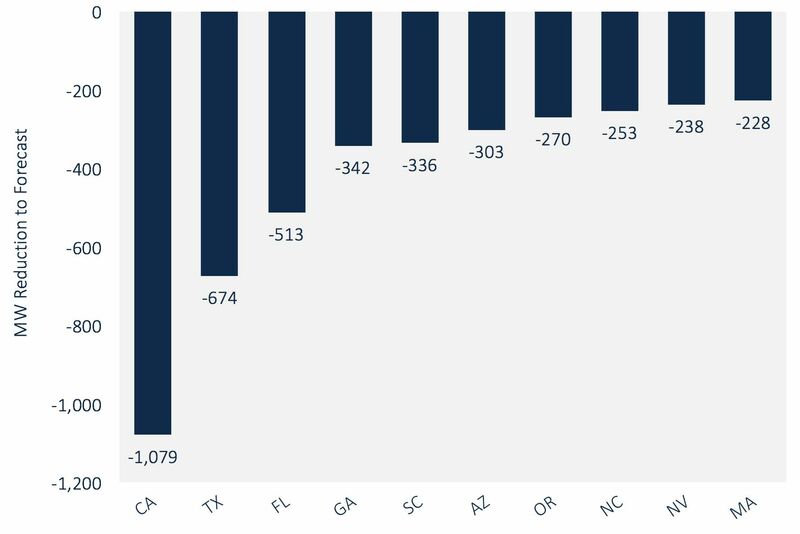 In terms of absolute megawatts, major residential state markets in California and the Northeast will see the largest declines. The U.S. solar market is expected to lose almost 5 gigawatts of utility-scale installations. 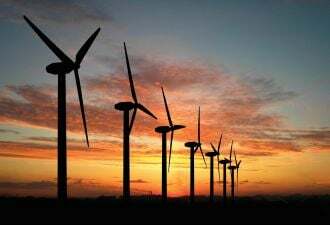 To replace the lost capacity, wind installations could increase by nearly 800 megawatts from 2018 to 2021, according to an analysis by MAKE Consulting. Most of the new wind additions are forecast for Texas, California and Western states that need to meet renewable energy targets. Natural gas could also capture some lost solar demand, but many PV projects are likely to be delayed rather than replaced by another power source, said Cory Honeyman, a solar analyst with GTM Research. “This just pushes out certain utilities’ procurement timelines for large-scale solar from the 2019 to 2021 timeframe to 2022 and 2023, as the tariffs expire altogether,” said Honeyman. The 30 percent tariff is scheduled to phase down by 5 percent annually over a four-year period. That translates into an average 10-cent per watt increase in year-one prices for modules, stepping down to a 4-cent per watt premium by year four. Even with the new tariffs, GTM Research expects the industry to deploy more than 10 gigawatts of solar installations in the U.S. this year and 11.9 gigawatts next year, with continuous growth through 2022. But that growth will be at a slower pace than initially expected. Based on precedent from previous Section 201 trade cases, U.S. trading partners are expected to mount a challenge to the new tariffs at the World Trade Organization in the coming months.